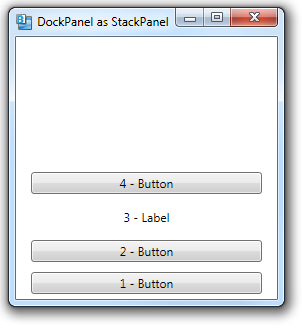 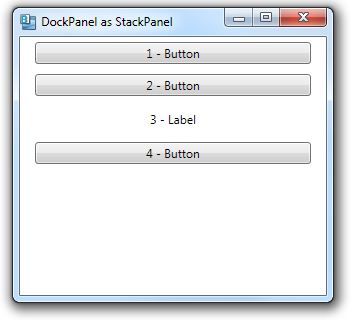 The DockPanel layout container is most often used to dock other container controls along each edge of a window and perhaps include a control that fills the remaining space. 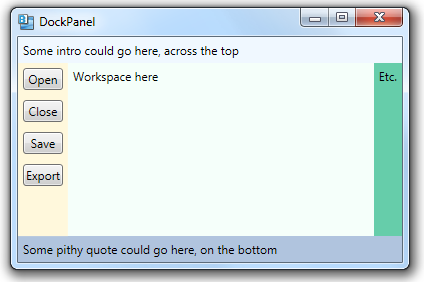 This works well as the outermost container for a main application window. 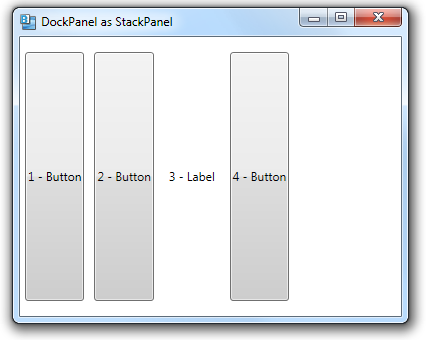 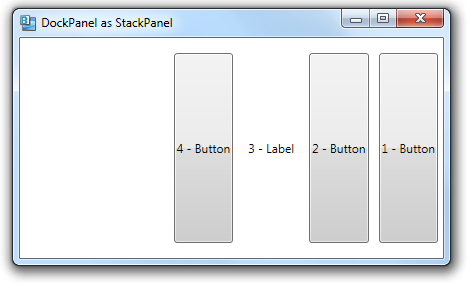 But because you can stack multiple controls consecutively on the same side, you can use a DockPanel like a StackPanel, but stacking controls in any direction. 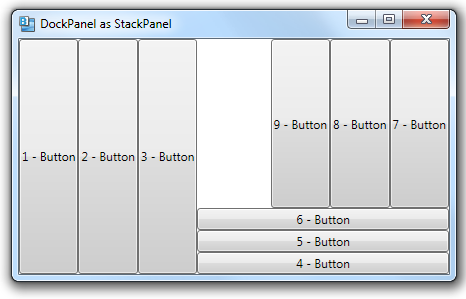 You can also use various combinations, stacking a series of controls to one side and then another group of controls to another side.